Chinese medicine has incorporated the use of both cannabis and acupuncture for thousands of years. What is becoming increasingly evident to Western scientists, however, is that used together, they may present one of the most promising ways to maintain better human health. Both acupuncture and cannabis have been used in therapeutic healing regimes for literally thousands of years by Chinese health practitioners. What is just beginning to be understood by Western medicine if not “scientific” standards, however, is how they might work synergistically together. Even more intriguingly, it appears, that it is not just cannabis, that stimulates the ECS (or endocannabinoid system), but that acupuncture does as well. The endocannabinoid system of the body was actually only discovered relatively recently – in the 1990’s - by Israeli scientist Dr. Raphael Mechoulam, also known as the “father” of cannabinoids (at least in the West) as well as the person who discovered THC. 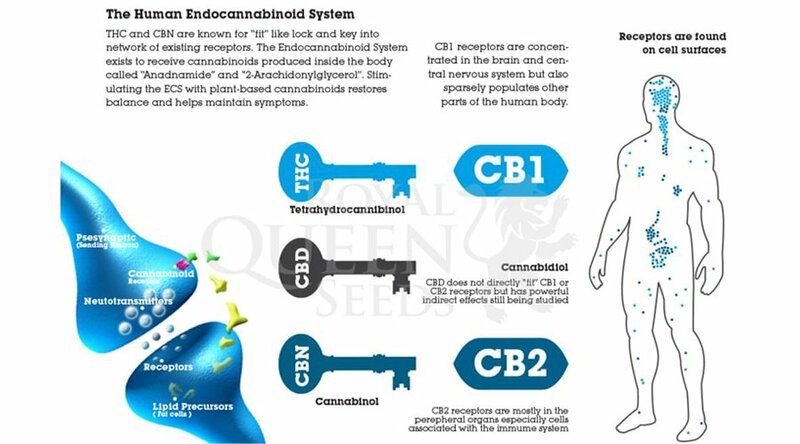 The ECS is a series of receptors called CB1 (which occur primarily in the brain of most mammals) and CB2 (which are present throughout the central nervous system, organs and tissues), that are today known as the fourth major regulatory system of the body. They work to regulate everything from pain sensations, inflammation and immune system response to memory, appetite and mood as well as overall metabolism. Cannabis is known as “ma” in Chinese, which means “help”, and “numbness”, as well as being the word for the plant itself. It has been used as part of accepted Chinese medicinal practice and herbal lore for literally thousands of years. As early as 2737 BC, the Emperor Shen Nung, also known as the Red Emperor, wrote a book on “traditional Chinese medicine”, which included what appears to be the first mention of medical cannabis in a medical guide. By 2698 BC, Huang Ti, also known as the “Yellow Emperor”, wrote the Nei Ching, which is also known as the Chinese Canon of Medicine. In it, he describes both the use of acupuncture and cannabis. Hua Tuo, who lived between 140–208 AD is the first person credited with writing about the use of cannabis as an analgesic and the credited inventor of acupuncture needles. Tuo reportedly used cannabis in conjunction with both acupuncture and to numb pain during surgery. The practice of acupuncture is the insertion of needles along key points of “energy flow” in the body (also called Meridians). The point of insertions just below the skin’s surface are to unblock one’s “chi”, which is thought to be the source of pain, disease and imbalance. Recent research also seems to indicate, that what this actually translates into, in medical terms, is less like the tinkling of crystals and more like a process just beginning to be understood within the confines of Western science. Like cannabis, acupuncture appears to stimulate the body in certain ways, working to regulate, heal and optimize major systems of the body, including, intriguingly, the endocannabinoid system. Research that began in the 1970’s into the science behind acupuncture found, that the analgesic, pain-relieving effects of sticking fine needles just under the human skin in key points, actually does something other than make the recipient look like a human porcupine. In fact, the correct placement of these needles in traditional Chinese acupuncture, stimulate the production of what are called “endogenous opioids”, or those compounds, that function like opioids in the human body. When these are released by the insertion of tiny needles just under the skin, inflammation and pain are reduced. Furthermore, there is also a direct connection between natural opioids found in the human body and naturally produced endocannabinoids. Through chemical signalling between the two, evidence suggests, that endocannabinoid binding can increase natural opiate output to create an overall reduction in both pain and reduction of an inflammatory response, which is also thought to be one of the main triggers of chronic diseases and conditions of all kinds. What the implications of these findings indicate, in other words, is that the practice of acupuncture actually stimulates the functioning of major regulatory systems within the body, what perhaps the Chinese really meant by “chi”. As acupuncture begins to stimulate the better functioning of damaged body functions, it may also stimulate the endocannabinoid system to work with it to better regulate the body and (at minimum) control pain. For this reason, it is highly likely in the future, that research will examine not only how acupuncture stimulates the endocannabinoid system, but how medical marijuana itself can work to further maintain such stimulation, even between needle treatments, to return damaged systems to optimal health. It has long been observed, even in Western medicine, that both acupuncture and marijuana can effectively treat conditions like addiction, as well as mood disorders like depression. If the body, in other words, is sending “feel good” signals and its own natural (and nontoxic) form of both opioids and cannabinoids to places where internal systems are damaged, the implications for a range of conditions, starting with opioid addiction, are large.